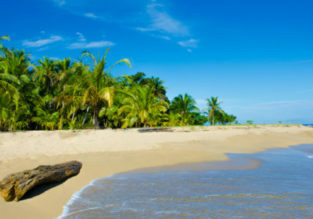 From UK to many exotic destinations in Central America from only £344! 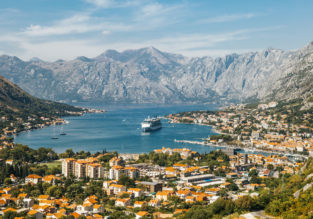 These are the destinations for true explorers! Book Delta or United flights from multiple UK cities to Guatemala, Honduras, Belize or Costa Rica starting at only £344 for a round trip! Central America is a very colorful and diverse destination with attractions varying from breathtaking nature and ancient temples to modern fashionable resorts! Also it’s a rare chance to fly to exotic island of Roatan in high season! Roatan is the largest and most developed of the Bay Islands. It’s located 30 miles off the north coast of Honduras, atop the worlds second largest coral reef! No wonder it’s considered to be one of 10 Best Diving Destinations in the World! Click here >>> or follow the link below and adjust travel dates. We encourage you to go to the former Guatemala capital Antigua upon your arrival where you can stay in Hostal Las Marias for €44/night with excellent reviews and breakfast included.